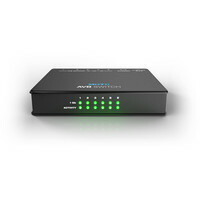 The Motu AVB Switch provides you with a simple but effective way to network your 1248 16A 8M or other AVB-ready MOTU gear. 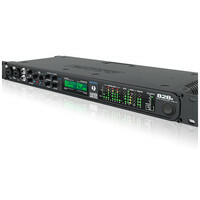 The Motu 1248 Thunderbolt Audio Interface offers flexible connectivity to a computer via its built in ultra-fast Thunderbolt technology or class compliant hi-speed USB 2.0. 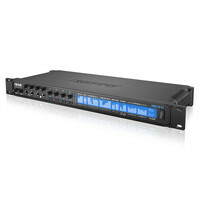 The 1248 features 30 channels of perfect analog I/O combined with 16 channels of ADAT optical digital I/O and stereo S/PDIF which makes a total of 66 simultaneous audio channels. 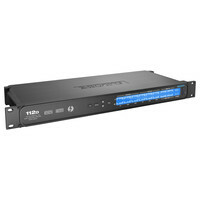 Motus 1248 is perfect for studio use or even on stage. 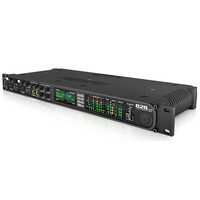 The MOTU 828x is a professional 28×30 audio interface with Thunderbolt technology. At its heart the 828x has a full blown DSP driven mixer called CueMix FX that includes classic reverb modeled analog EQ and modeled vintage compression. It also ships with AudioDesk 3 worklstation software for Mac OS X so you have all the audio production power you need and more! 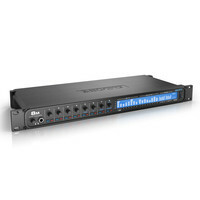 The Motu 112D is an audio interface and routing matrix with 112 channels of digital I/O MADI 48-channel mixing and AVB networking. 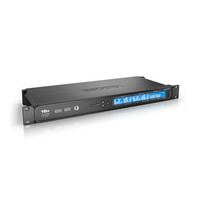 The 112D can be used as an flexible digial audio interface router format converter and stand-alone mixer with connectivity to your computer through ultra-fast Thunderbolt™ technology AVB Ethernet or class compliant high-speed USB 2.0 (compatible with USB 3.0 and iOS). Complete with a 324 x 24 LDC giving you the ability to view detailed metering for all analog and digital I/O. The Motu 16A Thunderbolt Audio Interface offers flexible connectivity to a computer via its built in ultra-fast Thunderbolt technology or class compliant hi-speed USB 2.0. The 16A features 32 channels of perfect analog I/O combined with 32 channels of digital I/O which makes a total of 64 simultaneous audio channels. 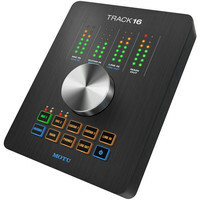 Motus 16A is perfect for studio use or even on stage. 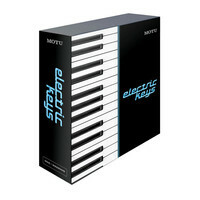 MOTU Electric Keys puts a slice of music history at your fingertips with the most complete collection ever of classic and vintage electric pianos clavs organs strings machines tape sampler and other electric keyboard instruments. This Virtual Instrument is ideal for anybody requiring high quality realistic sounds for their productions. The instrument list includes classic instruments like the Fender Rhodes and the Wurlitzer Organ. Built from the same technology found in MOTUs flagship MIDI Timepiece the micro lite is a professional MIDI interface that provides portable plug-and-play connectivity to any USB-equipped Mac or Windows computer. If you are a lover of vintage synths or modules then this is an absolute must. The Micro Lite works by USB utilising high speed transfer of MIDI data to and from your hardware and computer. 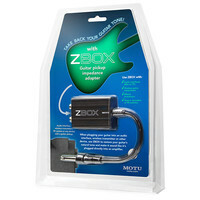 ZBox matches the output impedance (“Z”) of your guitar to the impedance of a non-amp input such as the mic/instrument preamp inputs on your audio interface. Without proper impedance matching your guitar wont sound natural or “feel right”. The Motu FastLane USB MIDI interface is a simple plug and play device which allows you to connect your MIDI hardware to your computer. If you are a lover of vintage synths or modules then this is an absolute must. 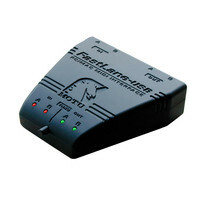 The FastLane works by USB utilising high speed transfer of MIDI data to and from your hardware and computer. The Super stable connection will ensure every action is transferred plus the FastLane functions to this high standard even when running off a USB hub. Within minutes after you begin using MachFive 3 youll appreciate the years of user interface design and engineering that have gone into this 3rd-generation release.From the configurable part list to the full-screen envelope editor MachFive 3 has been designed to spur your creative muse while delivering state-of-the-art virtual instrument technology in a streamlined efficient environment. After all music sound design and audio production are creative endeavors that deserve a worthy partner in creativity. The Motu 8M Thunderbolt Audio Interface offers flexible connectivity to a computer via its built in ultra-fast Thunderbolt technology or class compliant hi-speed USB 2.0. The 8M features 18 channels of perfect analog I/O combined with 32 channels of digital I/O which makes a total of 50 simultaneous audio channels. Motus 8M is perfect for studio use or even on stage. Engineered for high-end mobile recording applications the Traveler-mk3 audio interface delivers four very high quality mic inputs bus power optional battery power and DSP-driven mixing and effects processing. Simple operation. Clean design. Studio-grade sound quality. Track16 exhibits these design principles through and through. And dont let its compact size deceive you. Theres plenty of I/O available for a well-equipped personal studio ready for multi-player recording sessions. 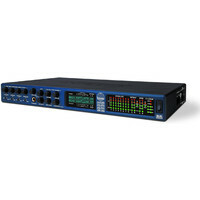 Track16s pristine mic preamps balanced line-level audio connections and renowned MOTU engineering deliver world-class audio quality. Within minutes after you begin using MachFive 3 youll appreciate the years of user interface design and engineering that have gone into this 3rd-generation release.